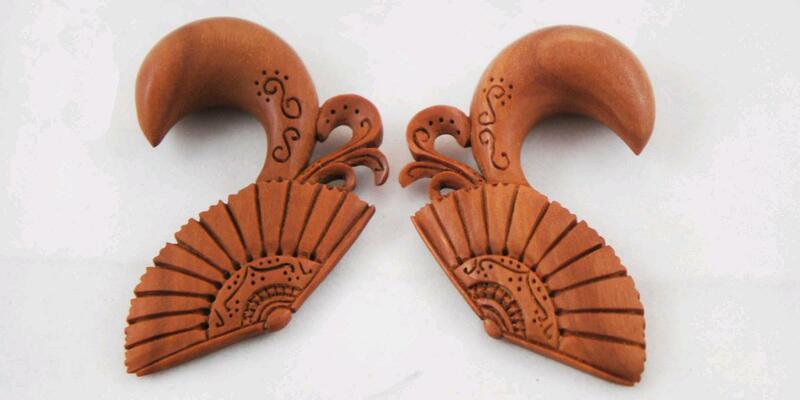 Pair of Saba Wood gauged ear hangers, carved to resemble a Spanish Flamenco Spinning fan. The ear hook portion of it has stylized symbols etched into the stem which adds just that extra bit of flare and really makes it a fun looking piece. 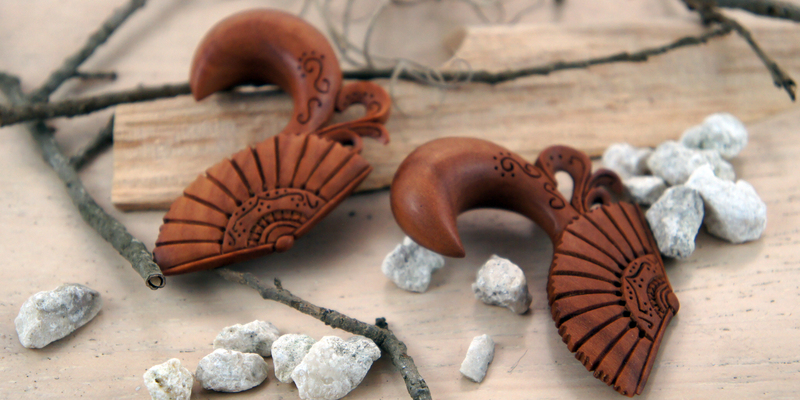 The organic ear gauges are carved from Saba Wood which has a beautiful reddish hue and are polished to bring out the pattern of the wood grain. As with all of our gauged earrings we try to carry most of the popular gauge sizes, but if you don't see your size listed please feel free to contact us or check back later since we're constantly restocking or adding new sizes and styles to our line.